While exploring the magnificent coastline of the Mid Coast region, make sure you plan to visit the numerous attractions highlighted here. From exceptional art galleries to maritime museums dedicated to this region’s long history of ship building to historic forts, the Mid Coast region offers a full bag of fun day activities for you and your family. Please share your Mid-Coast Maine Attraction reviews and comments. 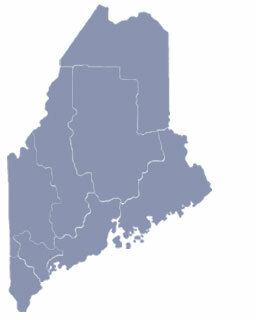 To feature your Maine attraction, contact us. A visual and performing arts center in an adapted historic building. Ever-growing botanical gardens on 128 acres, complete with garden learning center and landscape art. Created in 1973 and devoted to the preservation of Maine’s unique Puffin population. Take a ride on a steam train and visit historic buildings and an antique car museum.